Parents of special needs children have an 80% divorce rate. Yes, you read that right...80%. The constant stress/PTSD, hospital stays, outstanding medical bills and lack of help from family and friends can leave a couple wondering if life would be easier apart. Parents coping with PTSD may have a very difficult time leaving their child for a date night. What if the babysitter doesn't remember how to turn on her apnea monitor? And we aren't talking about normal parental worries, we are talking about full-blown panic attacks in the middle of the movie theater. Sadly, almost all parents of moderate to severe airway babies will experience some form of PTSD. Then there are the outstanding medical bills and sky-high insurance premiums that leave little to no money at the end of the month for dinner and some drinks. So what does a couple do? 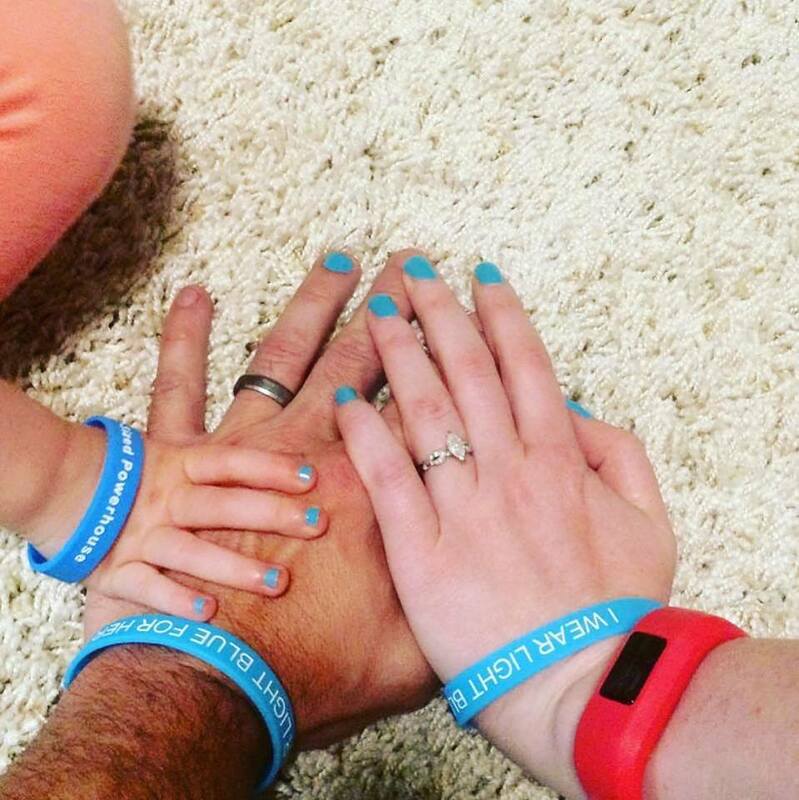 Put the kids to bed, turn on the apnea monitor/oxygen and get comfy on the couch together! Comcast OnDemand has many free movies. Redbox, Netflix, Hulu, Amazon Video and the local library are other good options. Scroll through Pinterest and find a new recipe, you both love. Maybe some chocolate fondue and fresh strawberries are exactly what the doctor ordered. Who said you have to LEAVE the house when the babysitter comes? 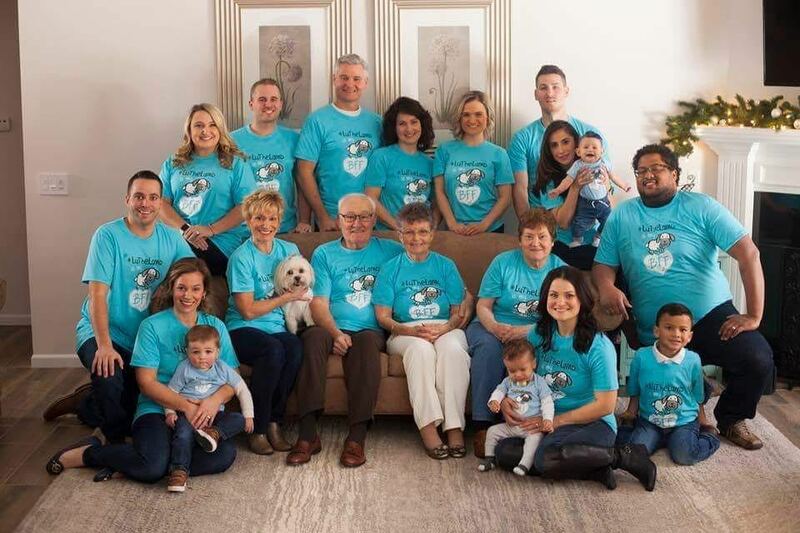 Ask a grandparent, sister, brother or home nurse to watch your Pint-Sized Powerhouse in the living room while you and your spouse watch a movie in your bedroom, sit outside by the firepit, or tackle that to-do list together! 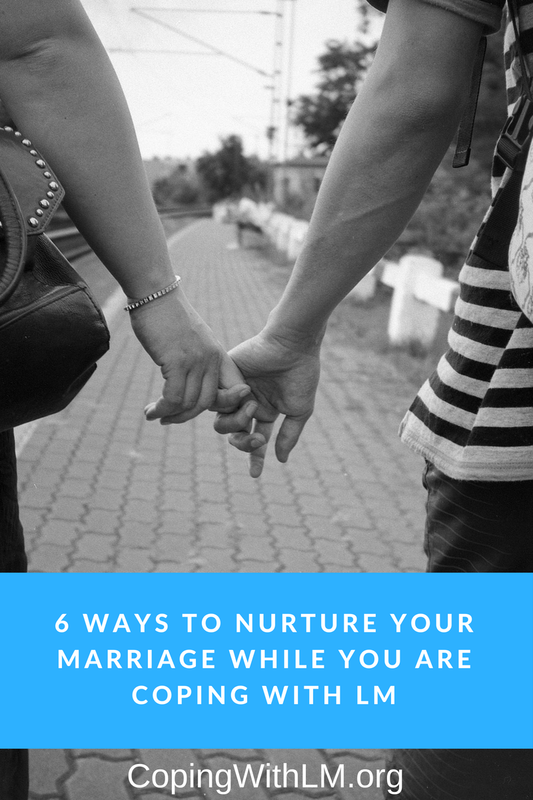 It's about spending time together, not how far away you are from your child. Put the kids in the stroller or baby carrier and go for a hike together. You will be surprised what a little sun and fresh air can do for you both! Having a hard time finding someone who will watch your Pint-Sized Powerhouse? 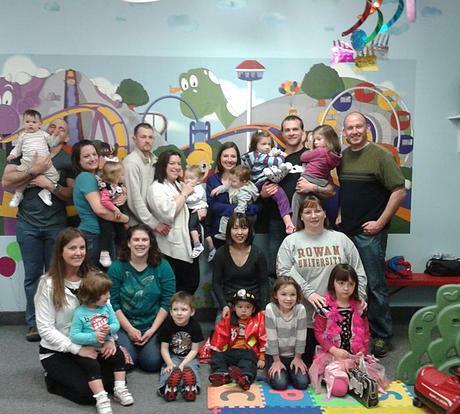 Find another Malacia family in your area and swap babysitting nights. *Please use AmazonSmile: Coping With Laryngomalacia when making purchases on Amazon. Thank you so much for your support! Your baby's laryngomalacia is more than 'just some noisy breathing' and now he/she is headed into the OR. You are scared, overwhelmed and unsure. How am I going to hand my baby over to the surgeon? These thoughts consume you as you try to prepare for what lays ahead. 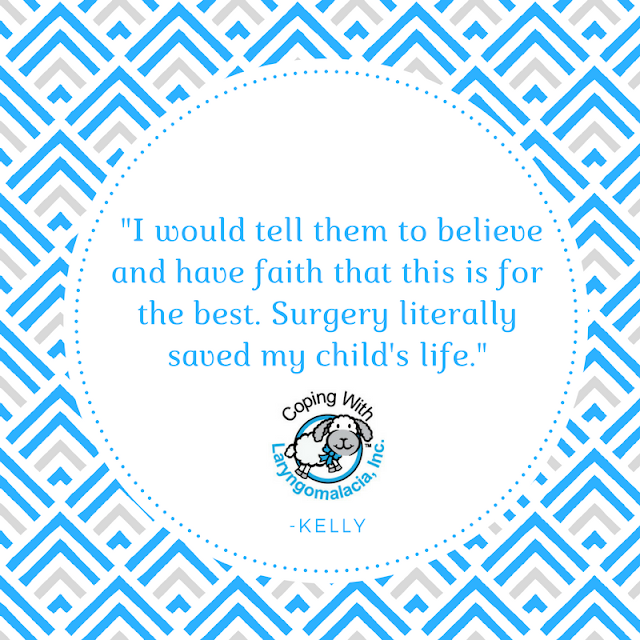 In an effort to continue providing support for our families, we have compiled a list of ten things you should know before your child has surgery. About 5% of all babies with laryngomalacia will need a supraglottoplasty. Before signing any pre-op papers, get a second opinion from an ENT who specializes in laryngomalacia AND supraglottoplasy. 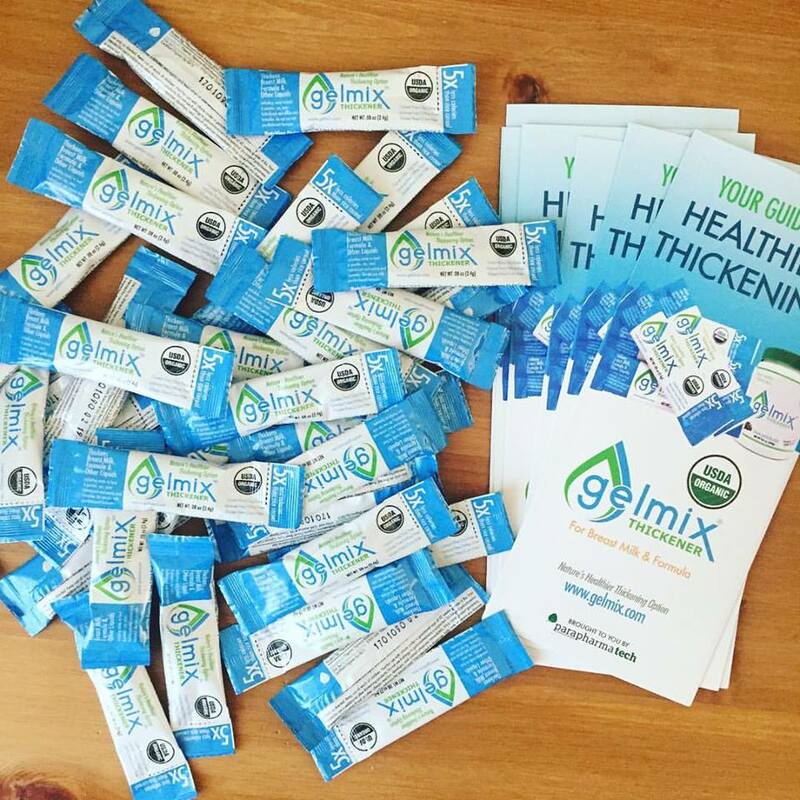 Find a recommended ENT here. Surgical intervention is warranted if a baby has severe laryngomalacia with recurrent apneic events, difficulty with feeding, failure to thrive and recurrent cyanosis and respiratory distress. Some risks are complications from anesthesia, aspiration, and infection. Children are transferred to PICU once out of recovery. 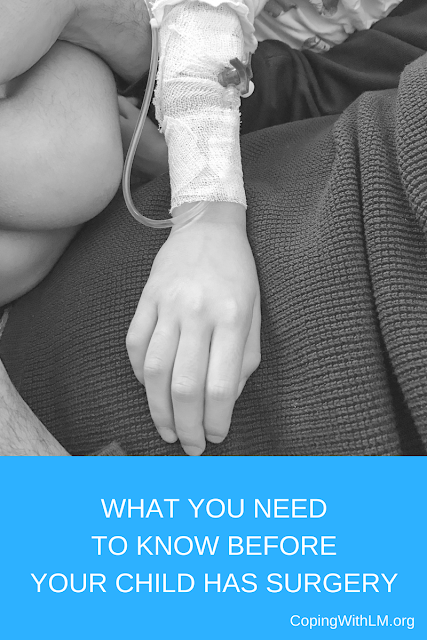 Recovery normally consists of oxygen via nasal cannula, pain medication (Tylenol to Morphine for severe pain) and IV fluids. Some children will need to be intubated for 24-48 hours due to swelling in the airway. Once discharged, pain management and infection control are the top priorities. Call your insurance company and ask about any deductibles, copays, and deductibles. Also, ask what is their policy of your child receives care from an out-of-network doctor while in the hospital. Pay attention to where the cafeteria is and it's hours. Also, ask about getting a parking pass. Most PICU's only allow one parent to stay overnight and only two visitors in the room at a time. Vistors gifts and flowers are usually discouraged. Baby and #LuTheLamb in the hospital. Read this list to know what to bring to the hospital. Connect with over 2,500 parents here. Let family and friends know how they can help here. 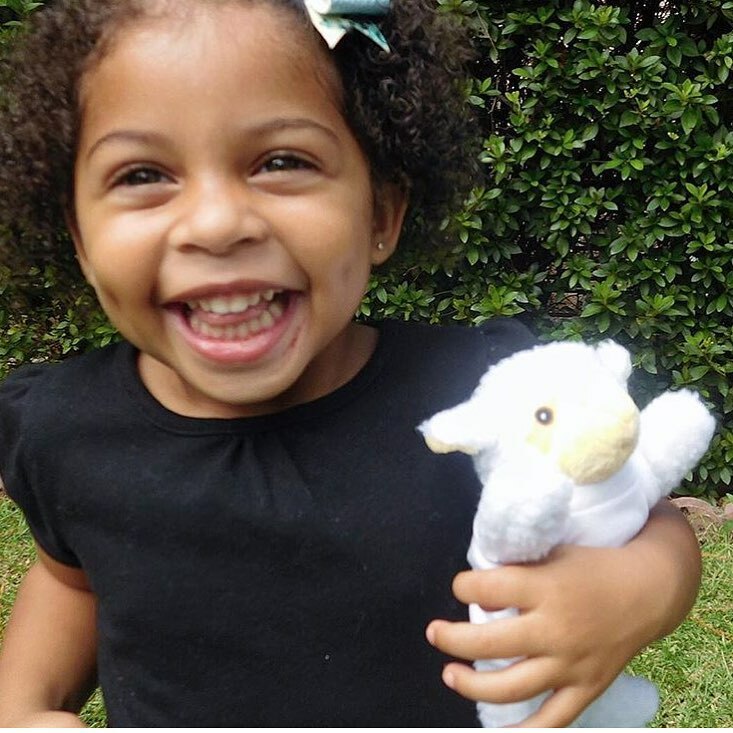 Each care package includes #LuTheLamb, a handmade blanket, hospital gown and other goodies to help comfort your little one. Apply here. 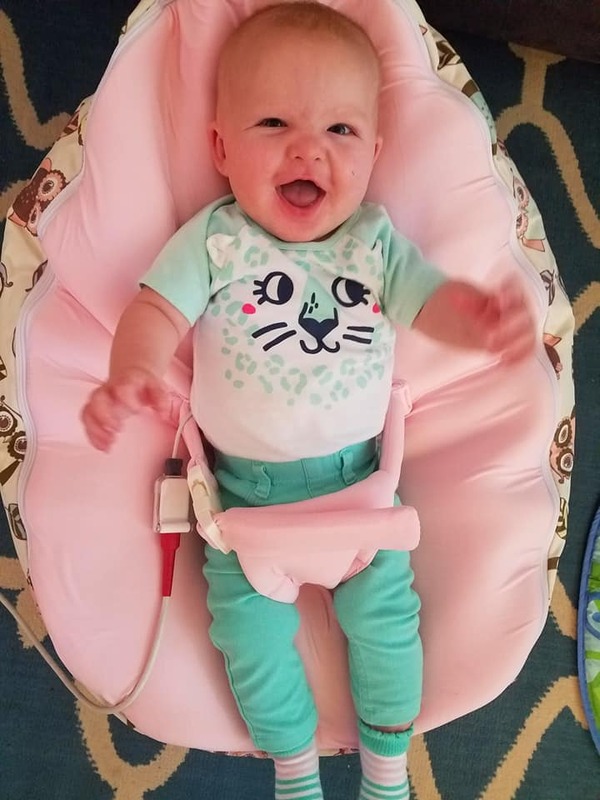 In otherwise healthy babies, most of the time a single supraglottoplasty will improve the airway obstruction caused by laryngomalacia and no further surgery will be needed. Supraglottoplasty has been shown to have over a 90% success rate in healthy children with laryngomalacia. There are times, however, when a second surgery may be needed if your baby is still having symptoms of severe laryngomalacia such as recurrent apneic events, difficulty with feeding or failure to thrive. Studies have shown that this is more common in neurologically delayed children. Up to 70% of children with neurological delay and laryngomalacia may require a revision supraglottoplasty. 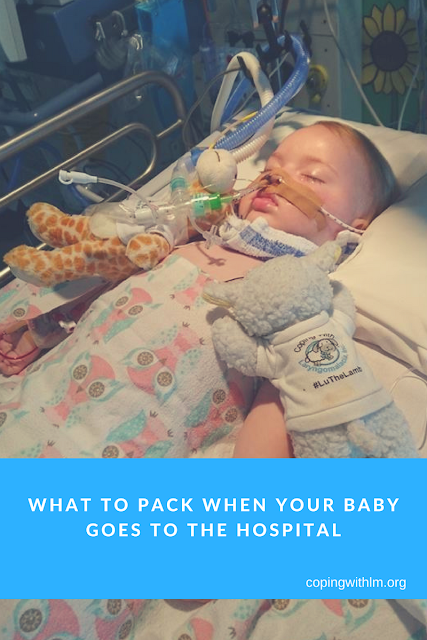 As many special needs parents know, hospital stays can happen in the blink of an eye or they can be booked for months in advance. Regardless of the urgency of the stay, it's a good idea to have a detailed list of items to pack. From obvious items like a toothbrush and iPhone charger to some not so obvious, an electric hot water settle to make coffee/tea with. 21. Current project: crochet, knitting etc. What a wonderful year it has been at Coping With LM! 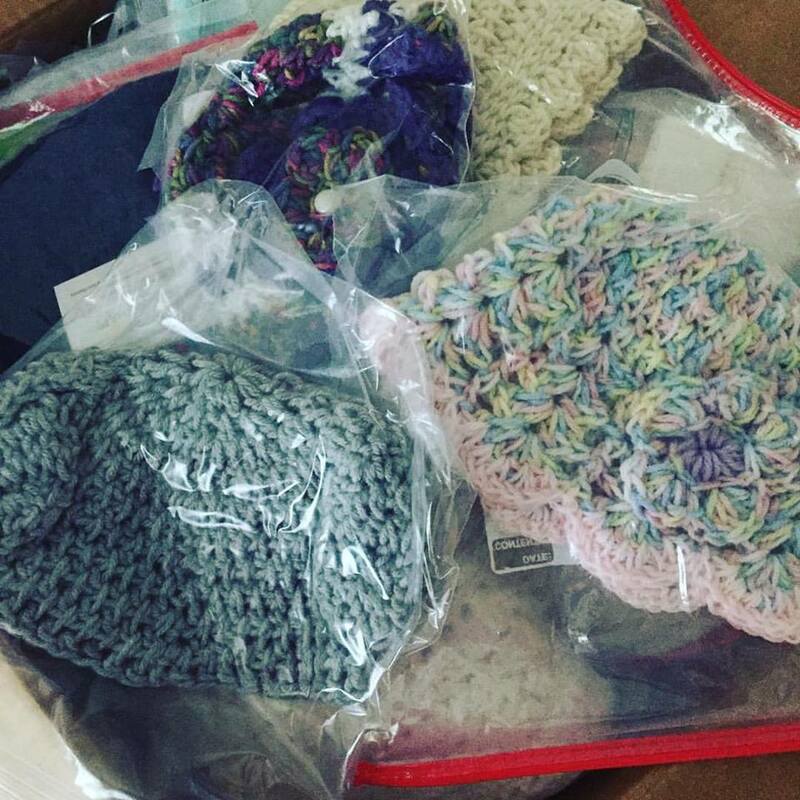 Through our Breathe Easy Care Package Program, 151 babies with life threatening laryngomalacia received a care package for their upcoming procedures; making 2017 CWL's most impactful year yet! We gave three $100.00 Pint-Sized Powerhouse Grants to three very deserving warriors. 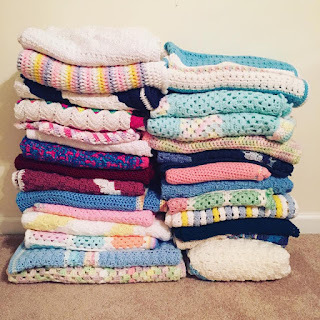 Thanks to our friends at Chibebe Snuggle Pod USA, 12 babies with laryngomalacia received Snuggle Pods, free of charge and two babies in Australia received Snuggle Pods. 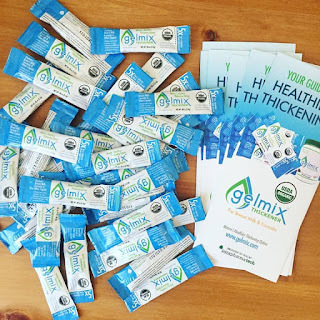 We continued our partnership with Gelmix Thickener, launched our Amazon Wishlist and joined eBay For Charity. We also continued our fundraising efforts with Amazon Smile, Bravelets and Jamberry. 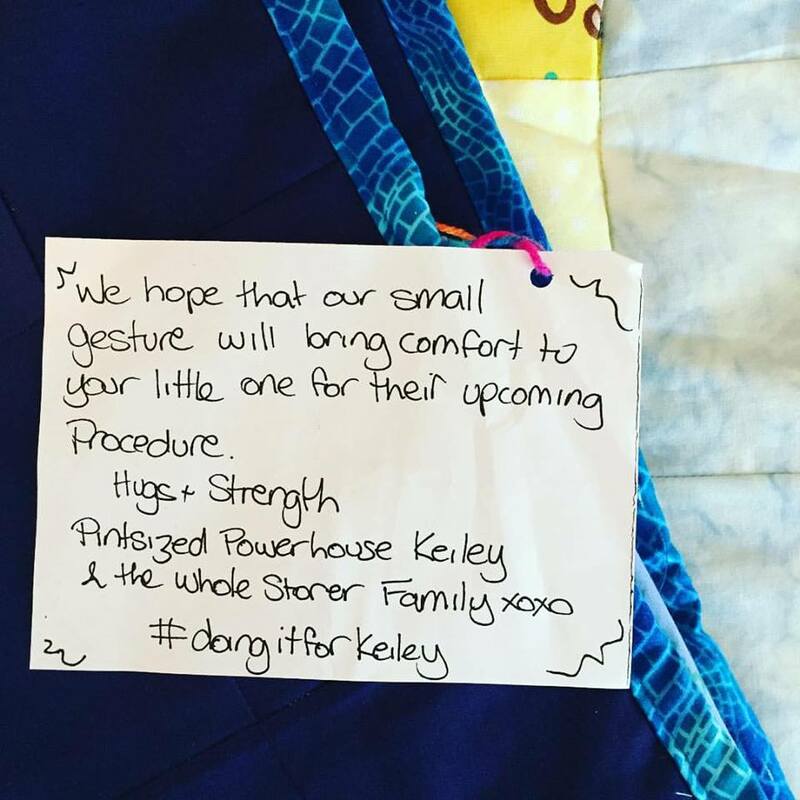 We were humbled by the outpouring support from our donors. 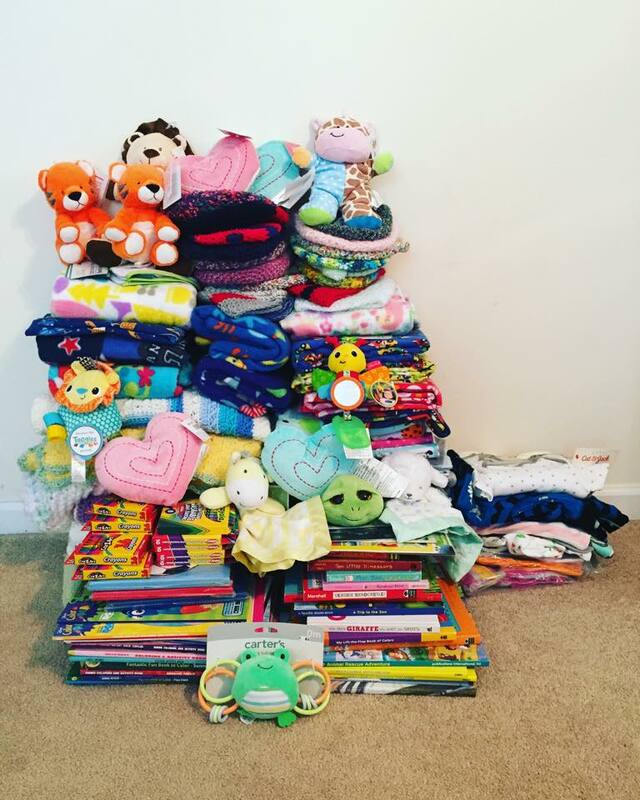 Many of you hosted Care Package Drives; your support and passion for our cause was not only heartwarming, but greatly appreciated. On July 10, 2017 we all stood together and painted our nails light blue for LM. On August 6, 2017 CWL Founder & President Stephanie Hueston met with other local families for a New Jersey Malacia Meet-Up. 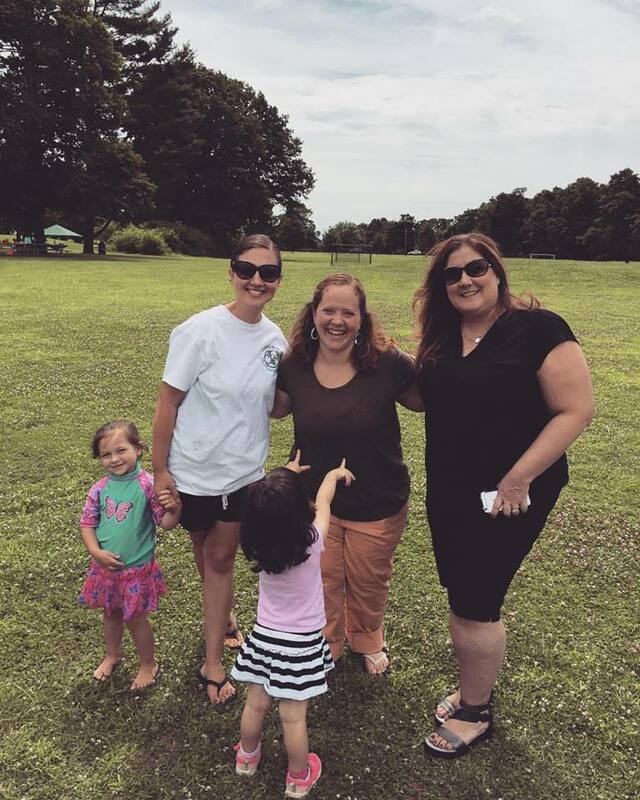 Also in August, we welcomed volunteer Tarah Barreras to the CWL Team! Tarah's commitment and passion for CWL has been amazing; we are so happy to have her! 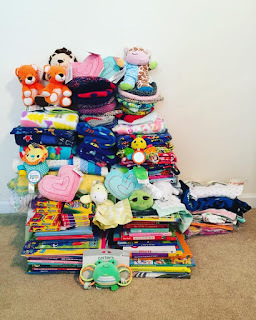 CWL Founder & President Stephanie Hueston shared why CWL asks for handmade blankets, 10 reasons why you shouldn't use a store bought monitor on a baby with LM, and how friends can help someone who is coping with laryngomalacia on the Coping With LM Blog. families rally together and pour their love into each other. 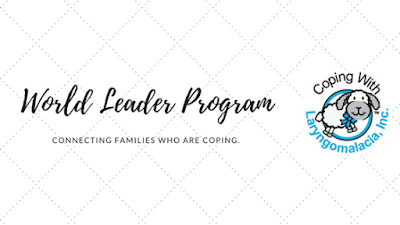 CWL's mission of providing support and strength expanded in 2017 with the launch of the World Leader Program. The purpose of the World Leader Program is so newly diagnosed families can connect with "seasoned" parents in their area. 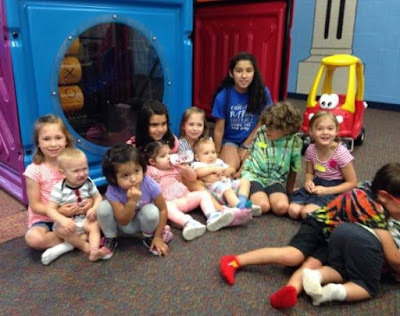 helping his Pint-Sized Powerhouses' breathe easy! 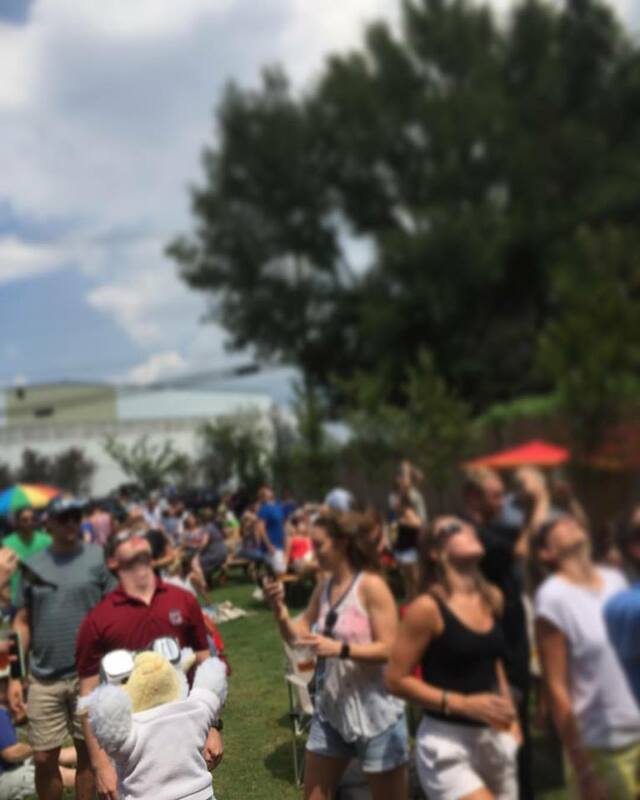 He also attended the Solar Eclipse! and over $1,200.00 thanks to your Facebook Fundraisers! Finally, we humbly received the 2017 Top-Rated Nonprofit Award from GreatNonprofits and launched our first e-Book, 'When It's More Than Noisy Breathing' thanks to the help and support from Dr. Prasad John Thottam D.O., FAAP Director of Beaumont Children's Hospital Pediatric Aerodigestive Center and Dr. Suzanne Forman D.O. Otolaryngologist & Plastic Surgeon. 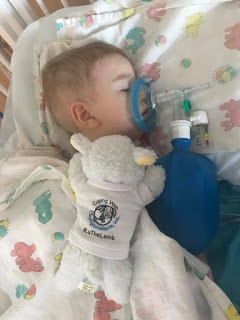 As 2017 comes to a close, I can rest peacefully knowing that with your support Coping With Laryngomalacia, Inc. and #LuTheLamb have fulfilled their missions. Families around the world are supported, strengthened and educated. 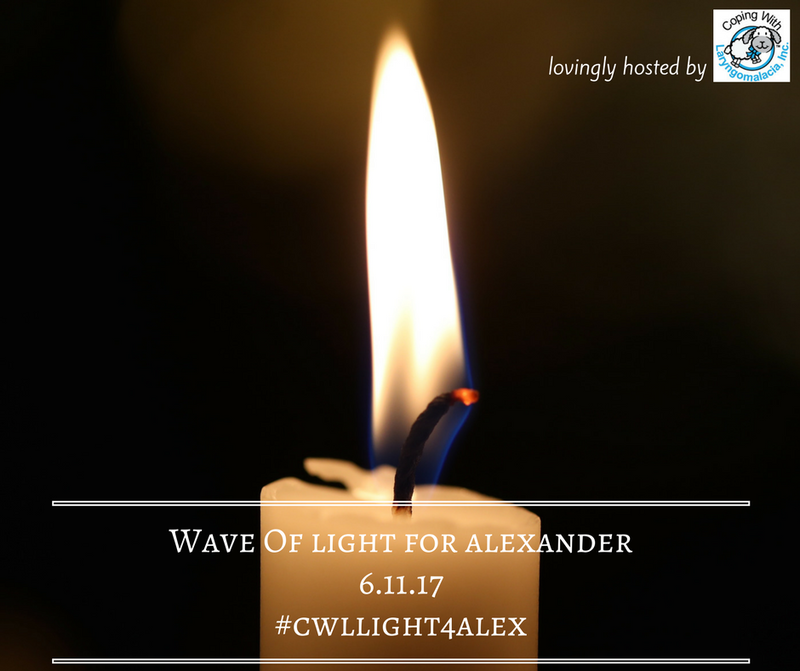 Thank you for giving, volunteering, supporting and loving CWL... it is because of YOU that we were able to accomplish what we have in 2017. So your baby was just diagnosed with laryngomalacia. Can you pronounce it? Don’t worry, I couldn’t either. In fact, it took me three months to learn the correct pronunciation and spelling. In time you will be able to spell it backwards. You will know more about this airway disorder than you ever thought possible. 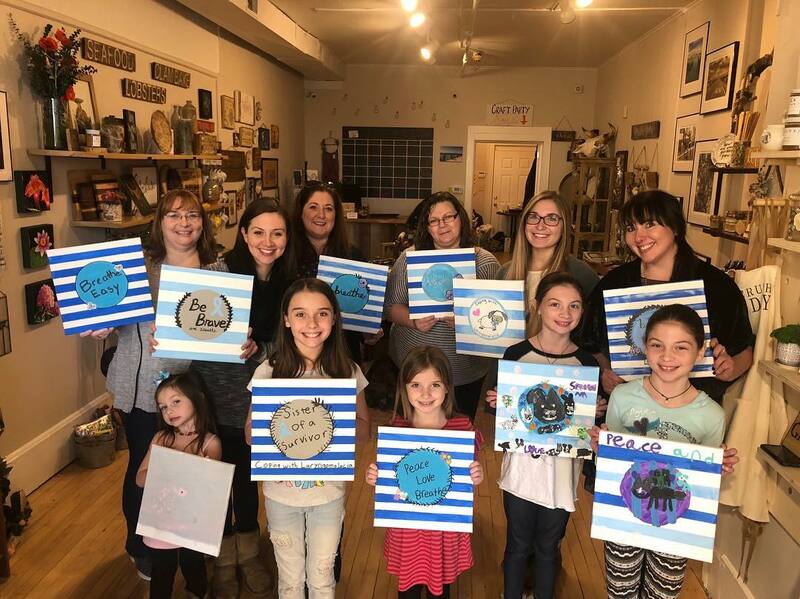 You will become someone we like to call a Malacia Mom (or Dad!). You will wear this title will honor. It will be a source of strength in the darkest of moments...a reminder that you CAN and WILL get through this. 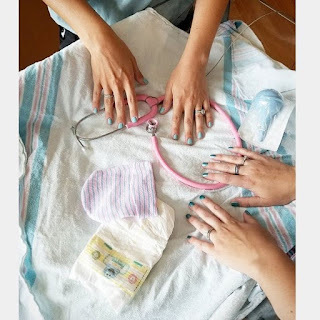 Having a baby with an airway disorder may be one of the hardest journeys you will ever have to walk. And that’s okay. Do not be angry at this journey, it is here to teach you. Let it teach you. If you allow, the journey will provide you with a whole new view on life. A more simple, wholehearted , grateful for every breath kind of view. Journeys have no end...do not spend your journey full of anger...instead, spend your time focusing on the walk. Soak in the sunlight wherever possible, remain graceful when your heart is full of worry and always be kind... your journey is hard, that we know but someones journey may be even harder. Friends will leave and friends will come. Friends will leave because it is their time to leave, not because their intent is to hurt you. Take a deep breath and let them go as beautifully as you let them in. New friends will arrive with hearts wide open. They will know how important a hug and a hot, home cooked meal is. Hug them back, tightly. Be thankful for the future with them. Your partner, he (she) is scared. In fact, he is very scared. That anger he is showing? That is him letting you know all those emotions you are feeling, he is feeling them too. It kills him to see you hurt like this... and there are no words to describe the pain HE feels seeing his baby struggle like this. Let him know how you feel and what you need. He doesn’t know what to do. 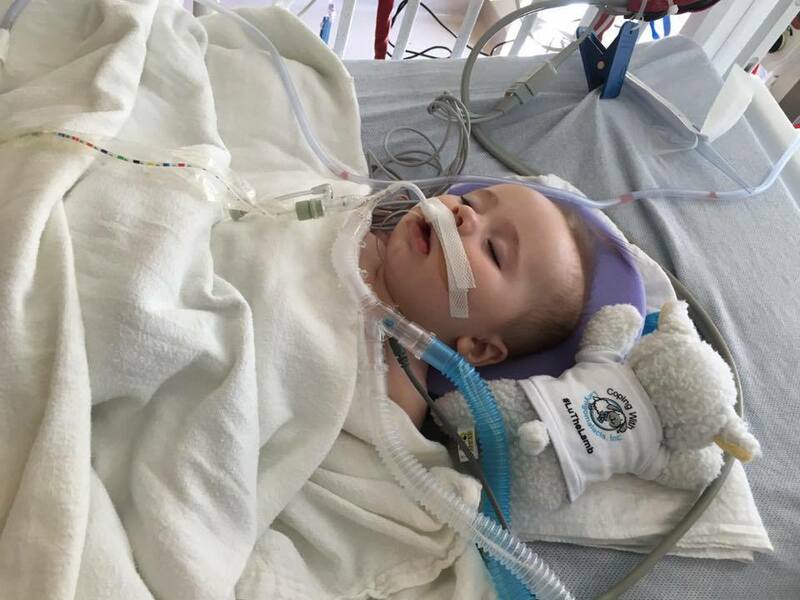 He never thought he would have a baby with an airway disorder. You both can survive this but if he chooses to disconnect and walk away, let him. Holding onto a relationship when its time for it to end will only fill you of anger, bitterness and resentment. Your baby needs ALL of you right now. You will be okay. You will recover. You will grieve. 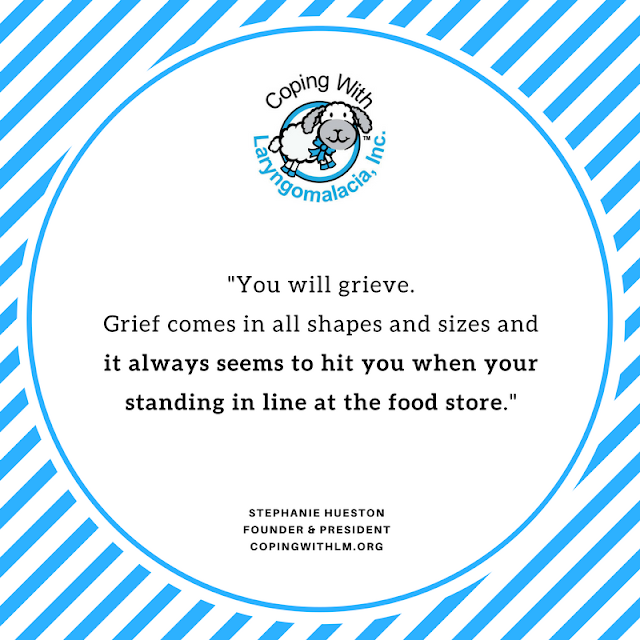 Grief comes in all shapes and sizes and it always seems to hit you when your standing in line at the food store. Allow yourself to grieve for the healthy baby you were not given. This is a normal process ... do not let anyone tell you different. Listen to your instinct. You know your baby better than any monitor or medical test. Let your voice be heard and if a doctor speaks over you--find a new doctor. Get to the best hospital. Bills can be paid later, your child needs to breathe now. Walk this journey with grace. There are going to be some high, high mountains to climb and the rain will pour... choose to let the good strengthen you while letting the bad empower you. Every step you take on this journey will leave footprints your Pint-Sized Powerhouse will follow. Show your child there is always a reason to have a Hope...anger doesn’t make life changing decisions and the good always follows the bad. 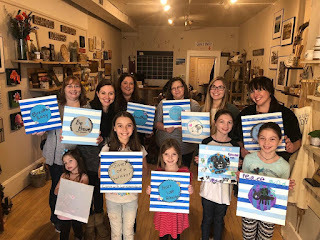 You are an Malacia Mom (or Dad) for a reason... stay brave and breathe. Written by: CWL Founder & President Stephanie Hueston. Thanks to modern technology, we are able to connect with each other from miles away. While online support can be poignant, little compares to meeting another parent who is walking the same journey as you! The purpose of Coping With Laryngomalacia, Inc.'s Malacia Meet-Up Program is so parents (and caregivers) can connect directly with other local families. This program is made possible thanks to our amazing World Leaders Volunteers and their passion for the cause! Want to host your own Malacia Meet-Up? Follow these easy steps! Step 1. 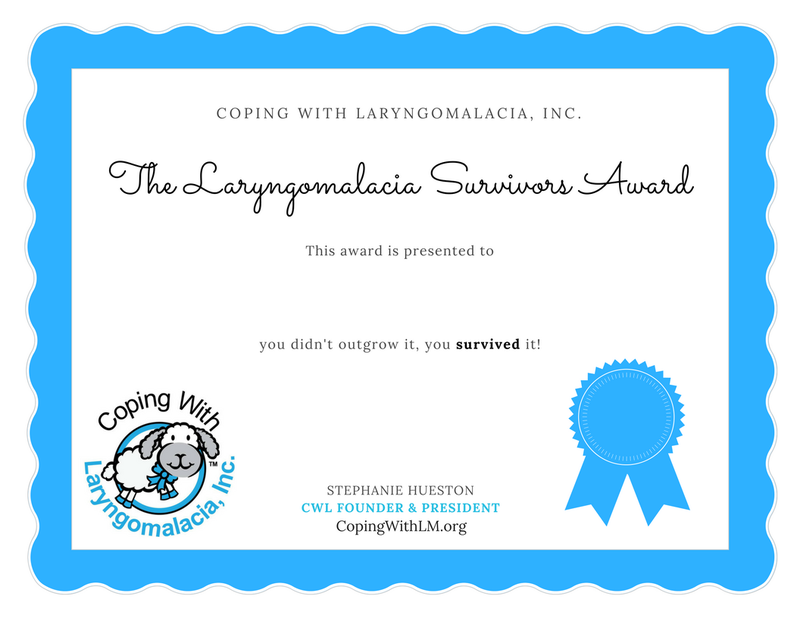 Apply (here) to become a World Leader Volunteer at Coping With Laryngomalacia, Inc. Step 2. Once you become a World Leader, choose a location, date and time for your Malacia Meet-Up. Step 3. 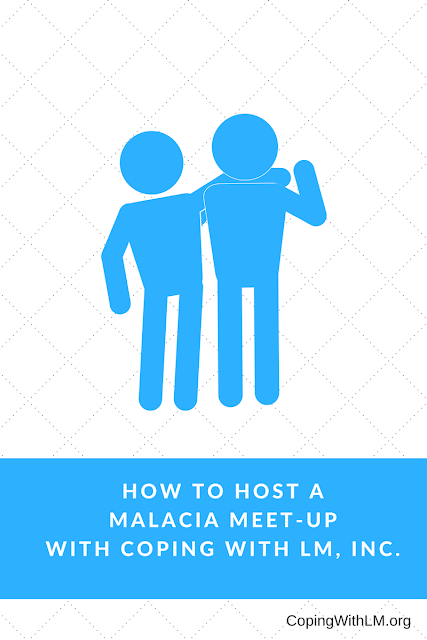 Submit a Malacia Meet-Up application (here) to Coping With Laryngomalacia, Inc. Step 4. 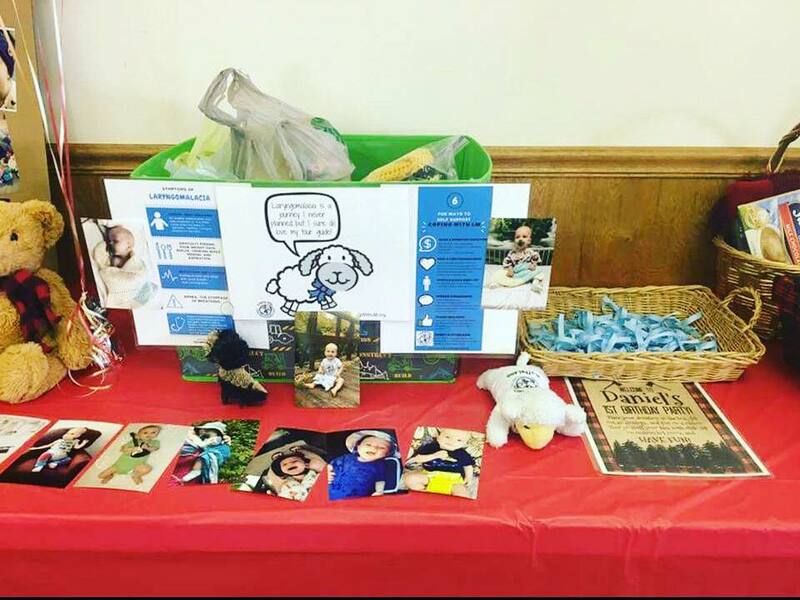 Once approved, Coping With Laryngomalacia, Inc. will create a Facebook Event and invite Parent Support members. 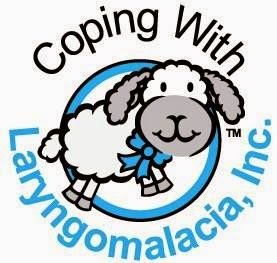 Coping With Laryngomalacia, Inc. will provide one to one coaching on how to host a successful Malacia Meet-Up! You are scrolling through your news feed and see a post from an old friend, her baby was just diagnosed with a life threatening airway disorder. 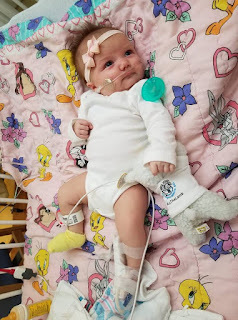 Her eight week old is now having emergency airway surgery. Your son just called you at work (something he never does), the doctor just prescribed your grandchild an apnea monitor. The medical supply company will be delivering it tonight. You're babysitting your niece for the first time. She is choking with every feed, her stridor is so loud despite position changes- how does your sister cope with this? 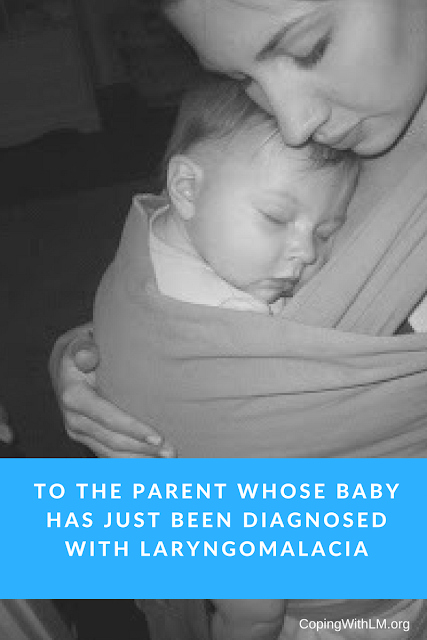 Since there is no prenatal test for laryngomalacia (Polyhydramnios may be a marker though), every family who receives the diagnosis of mild to life threatening laryngomalacia world is turned upside down. these parents are in desperate need of love and support. Stephanie says, "Offer to bring food or help clean the house. Be a listening ear." Tiffany says, "Not come around when you have or have been exposed to illness (yes, this is a problem), wash your hands before touching baby, don’t smoke before being around baby." Erica says, " Just ask. 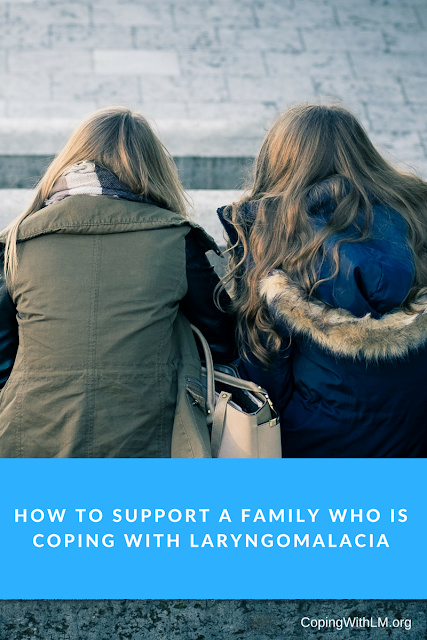 My support needs are different each day." Erin says, "Please get CPR/First Aid Certified." Lisa says, "Ask about doctor appointments and offer to watch the siblings." 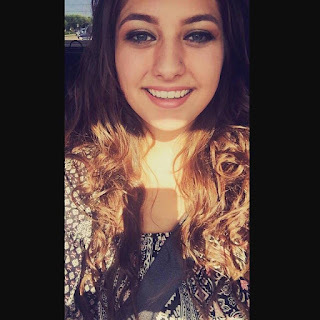 Trisha says, "A friend paid to have our carpets and air ducts professionally cleaned and changed all our air filters when we were at the hospital. So we came home to the cleanest air possible. It was something Id never had thought to do. I felt it was very thoughtful." 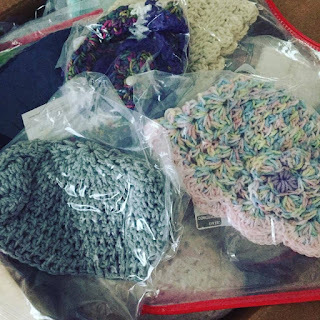 Sponsor a care package here.